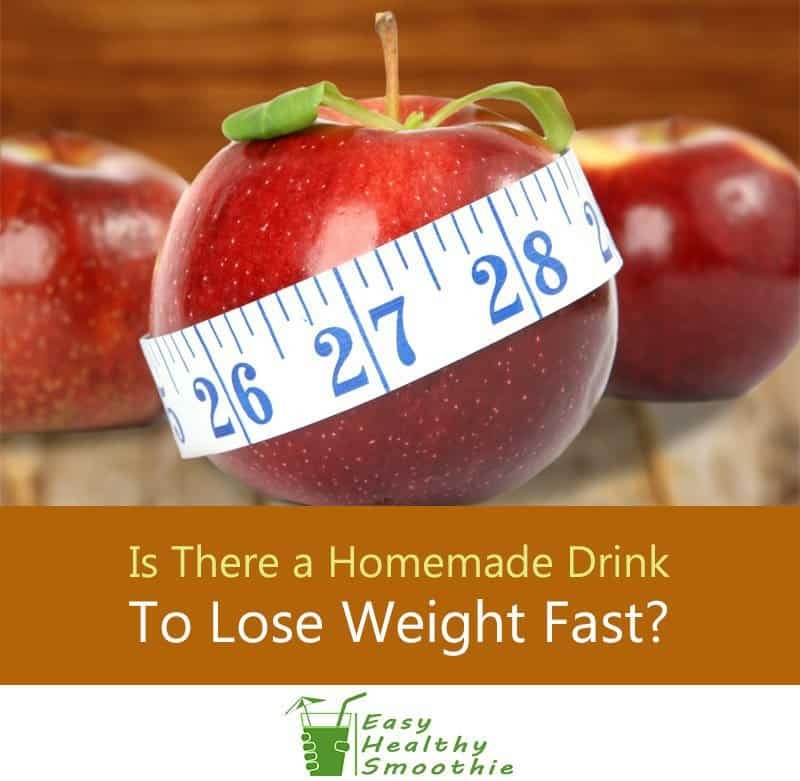 If you’re trying to kick start weight loss, you’ve probably heard that you can make some natural homemade drinks to lose weight fast. While there is no silver-bullet for losing weight, there are definitely some fat burning drinks you can incorporate into your routine. Today I’m going to share my top fat-burning ingredients, and how you can use them to start shedding unwanted pounds fast - and keep a healthy body weight for the long term. 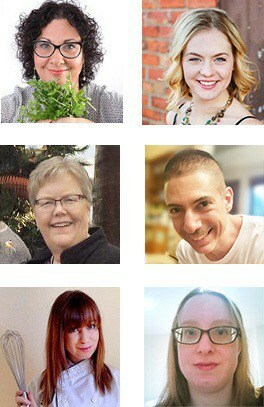 Read to the end - I’m also sharing my recipes for each ingredient! 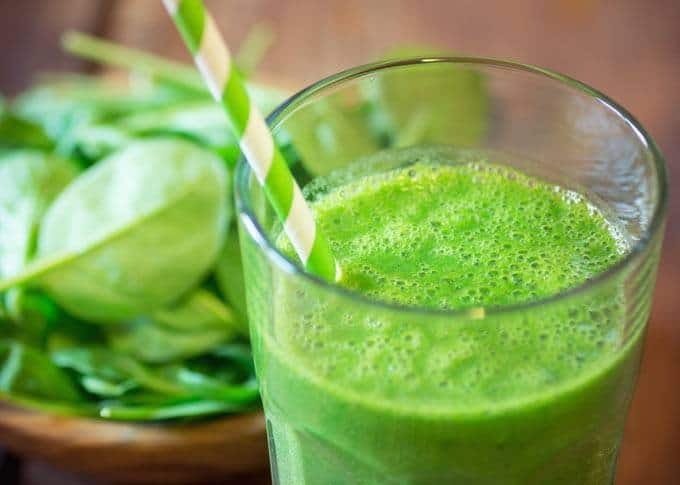 Natural smoothies are the perfect homemade drink to shed unwanted weight since they’re filling, quick to prepare, nutritious and made exactly to your taste. What's important in a DIY homemade fat burner drink? 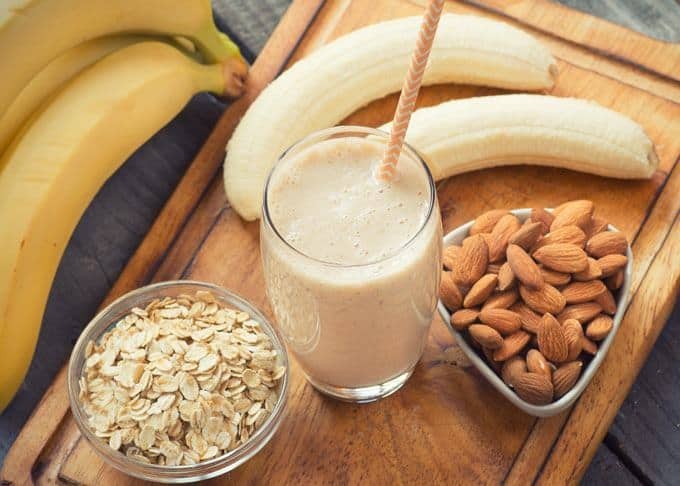 As you’ll see in a minute, smoothies can be your best bet in your efforts to lose fat or maintain a healthy weight - if you’re clever with your choice of ingredients. Based on numerous studies, for example this one, as well as my own experience, one of the critical factors in the success of your diet efforts is: are you enjoying your new healthy habits? I mean, how enjoyable can it be, to only eat full plates of vegetables? or just proteins all day? Are you doing the kind of exercise that you could enjoy, even a bit? Given that the key is to find a healthy eating habit that you'll enjoy adopting, there are a few options available, and one of them stands out as a winner. So, which one do I believe is the most effective and fun? I actually use all three, but the first and second options seem to be the best for daily consumption, while the third (juices) is more of an occasional treat. ​You get to choose the taste - combine the healthy ingredients to come up with a taste you really love (or choose among the many smoothie recipes available). This means you’re guaranteed to enjoy it! Since smoothies and smoothie bowls are easy and quick to prepare, they serve as an ideal breakfast on the go. Healthy nutritious breakfasts are a critical cornerstone in your weight loss efforts. 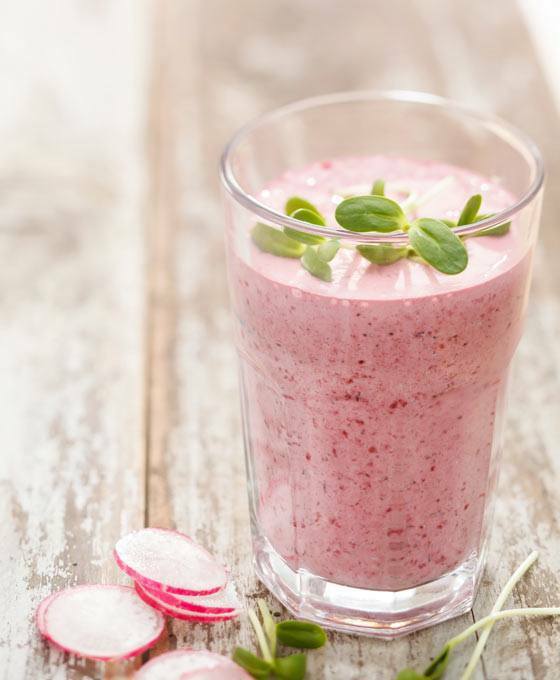 Smoothies have other important healthy advantages, so they can serve as an important part of an overall healthy eating habits that you want to adopt. Our modern lives expose us to an alarming number of preservatives, pesticides, heavy metals, pollutants and cancer-causing chemicals. If you’re suffering from headaches, fatigue, constipation, bloating, belly fat, food cravings, low energy or mood swings, this might be the result of daily exposure to these toxins. Turns out there’s a simple way to try and counter the effects of this excessive toxin exposure, called Detoxification cleanse. Experts don’t really agree on a definition of what a detox or cleanse is, but the general idea is to drink certain ingredients that are supposed to help your body get rid of toxins, such as cucumber, ACV and lemon. It doesn’t necessarily involve fasting or limiting your food intake, but it does mean you’ll be seeing more of these ingredients on a daily basis. There’s another side benefit of detoxing: pollutants and toxins are attracted to our body's fat cells, and our body stores them. Thus, getting rid of toxins also means getting rid of extra pounds. So, what’s the best cleanse to lose weight? 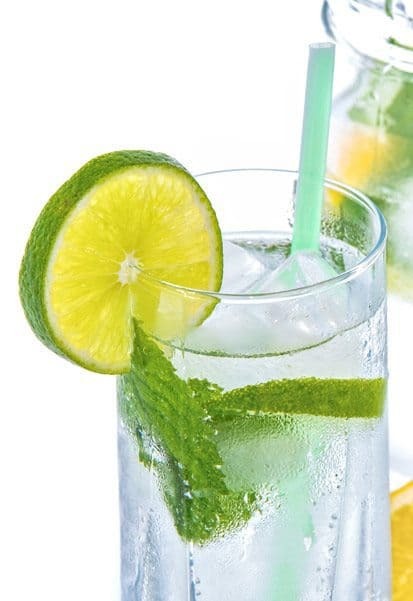 While drinking plain water is detoxifying and fat loss friendly in itself, inserting detox ingredients into the water means it’s much more enjoyable to drink, while giving you the extra health benefits. So, has this gotten you looking for infused water ideas? Check out our top ​detox water recipes here. A question I’m often asked: are freshly squeezed juices good for losing fat, or should I stick to smoothies? The full answer is given here, but the bottom line is - smoothies are superior to juices in most cases, therefore we’ll focus on smoothies here. Sounds awesome! Are there any caveats? Of course there are. Like other things in life, too much of a good thing stops being good to you. In our case, you wouldn’t want to replace all your meals with smoothies, and there’s also a limit to the amount of vegetables that you should consume at any one time. Our complete guide to losing weight with smoothies covers this in more detail, and in any case you should always consult your physician or Registered Dietitian before starting any diet or changes to your nutrition. It’s also important to bear in mind that to shed those extra pounds fast and maintain the healthy weight you’ve achieved, you would need to change not just your nutrition. You’d want to consult with a physician or fitness expert to plan for regular exercise. Choose the kinds of activities that you’d enjoy, at least a bit. For example: do you like the pool? Swimming would be your best bet; Have a friend with whom you could enjoy walking or running frequently? It’s a golden opportunity! Don’t forget other healthy habits such as getting enough sleep, and relaxing activities such as meditation and massages. You know that drinking water is important, but did you know it can help you burn fat? Drinking water has been associated with fat loss thanks to it’s ability to fill you up and prevent overeating. Even better, ice-cold beverages take energy to heat up in the body so they can help burn calories. This makes a great case for drinking smoothies, as they are mostly liquid and often ice-cold. Another important addition is to drink flavored water - I'm referring to diy infused water that's quick and easy to make at home, as explained here. Protein is the most satiating macronutrient. This means that compared to both fat and carbohydrate, protein will keep you full the longest. In one study, just increasing protein lead to weight loss of 1 pound per week. Protein will help you lose weight since it revs up your metabolism and increases the number of calories you burn thanks to an effect called thermogenesis. This basically means that your body burns enough calories breaking down protein to partially offset the calories protein provides. It’s no wonder I’m seeing people who drink protein-packed smoothies lose weight much more effectively. 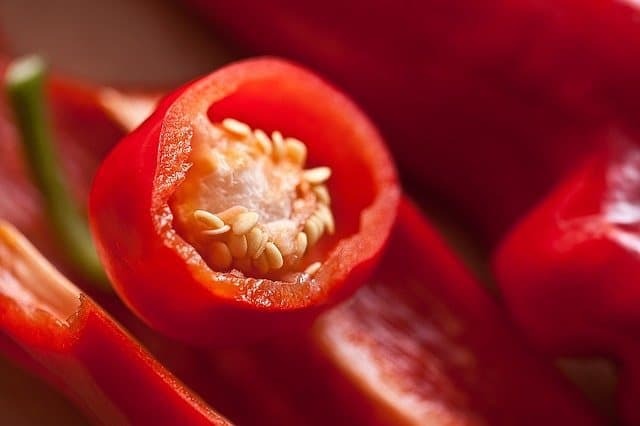 Thanks to the spicy compound capsaicin, hot peppers like cayenne actually rev up metabolism while suppressing appetite. This effect is especially potent if you aren’t eating much spicy food to start with, so if you hate spicy food… this is the perfect trick for you! It’s not just the caffeine in green tea that boosts metabolism (but that helps too). The antioxidant EGCG in green tea has been shown to literally burn fat by taking it out of your fat cells and using it as energy. The best part? It’s mostly belly fat. Want a stronger alternative still? If you’re a coffee lover, you might have rejoiced at learning that drinking between 4 and 6 cups per day can increase your metabolism enough to burn an extra 150 calories per day. This effect is temporary, as you will build up a tolerance. So I suggest rotating your coffee intake, with at least 1 week per month totally coffee-free. Note: caffeine has undesired side-effects such as energy drain. Therefore it is not a recommendation to drink more coffee. Having said that, if you’re already drinking more than a cup a day, it might be a good idea to rotate and keep one coffee-free week per month. This is your chance to try natural energizers that don’t have the negative side effects of coffee, and at the top of the list - Maca. Click here to learn more about maca and other ingredients with exceptional health benefits. In order to burn fat, you need to regulate blood sugar, and this vinegar has been shown to do just that. By reducing blood sugar levels after meals, vinegar has been proven to help obese people lose 4 pounds. It's not all good with ACV and here are some of its known lights and shades. Thanks to medium-chain triglycerides (MCTs), coconut oil can help you lose weight and especially cut down your belly fat. MCTs are great for fat-loss because the body uses them as energy before more easily than other fats. The fat in coconut oil also helps reduce appetite and leads you to consume fewer calories overall. I’ve found coconut oil to be a great addition to smoothies, as it adds both to the flavor and the creaminess of the smoothie. 1 tablespoon of coconut oil per serving should be great. Be sure to use an extra virgin, cold pressed coconut oil such as this one, and not the refined ones. Here are my top 5 fat-burning smoothie recipes, based on the ingredients that I’ve found to be the most effective. This smoothie tastes like a frozen lemonade with a spicy kick. Squeeze the lemon and combine it with all other ingredients in your blender jar. Blend until smooth, about 1-2 minutes depending on your blender. For crushing ice, you’d want to use of of the powerful personal bullet blenders or high performance blenders. Drink while ice cold for even more fat burning power! 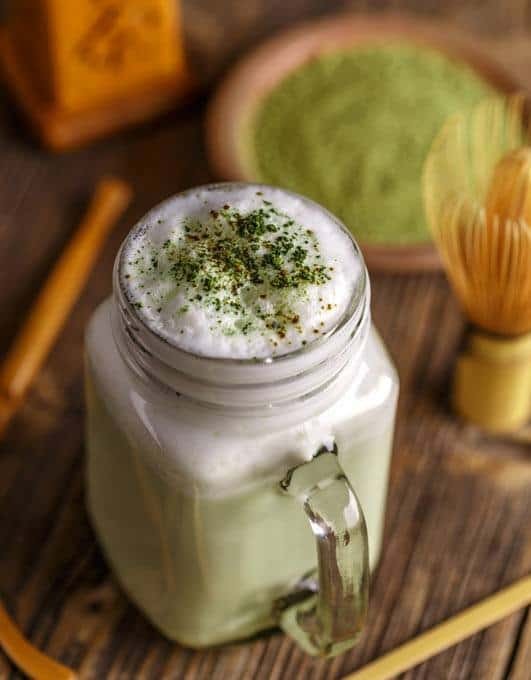 Green smoothies are popular cleansing drinks, but this beverage is even better - it gives you the fat-burning boost of green tea. Brew your green tea and ice it, or leave it in the fridge overnight to chill. Combine all ingredients in your blender jar. Blend until smooth, about 1-2 minutes depending on your blender. 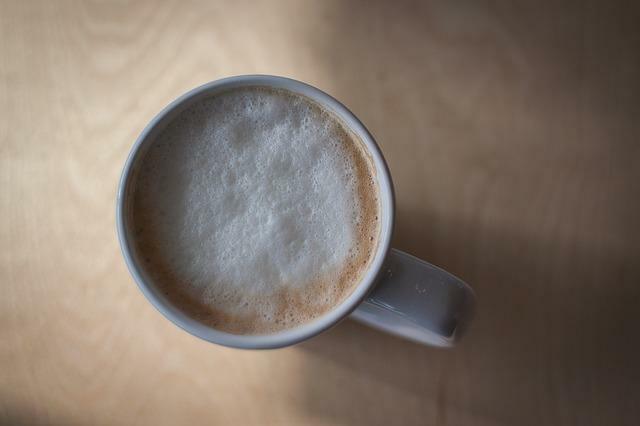 This fat-burning hot drink uses coffee and coconut oil for fat-burning synergy. This isn’t your typical smoothie, but a blender is still required. Add half a banana for surprising creaminess! Brew your coffee and add it to the blender with the coconut oil, milk and cinnamon (if using). Blend until frothy, about 30 seconds to 1 minute. 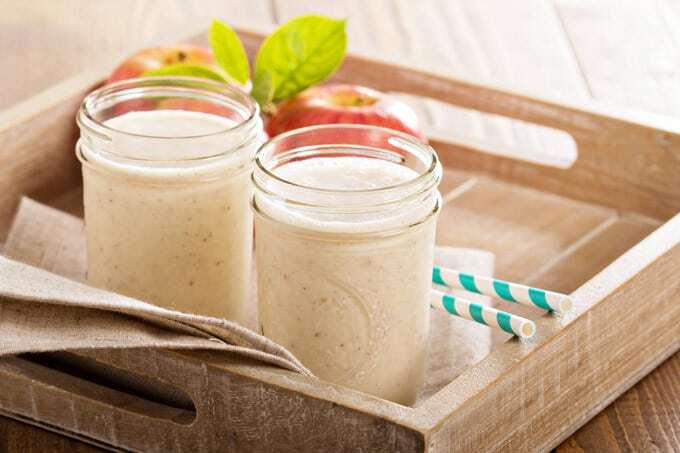 This sweet smoothie tastes like an apple pie, but actually promotes weight loss. This creamy shake has tropical vibes, and fat burning power. Combine all ingredients in your blender pitcher. 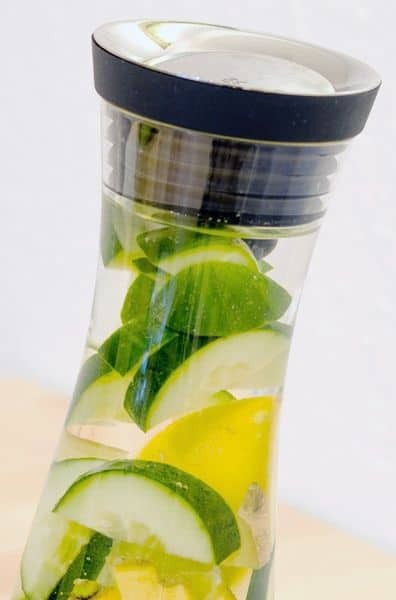 If you're looking for the best infused water ideas, look no further! This cleanse water recipe is full of goodness and has a fresh cool taste. If your sweet tooth calls for it, replace the salt with a few drops of liquid Stevia sweetener. Insert ingredients into a regular pitcher or a Fruit Infusion Flavor Pitcher such as this one. Cover with ice about a third to half of the pitcher, then fill to top with water. Store in your refrigerator. Refill with water when finished. Insert ingredients into a pitcher. Refill with water when finished. Up to 3 refills should be good before you lose much of the flavor. 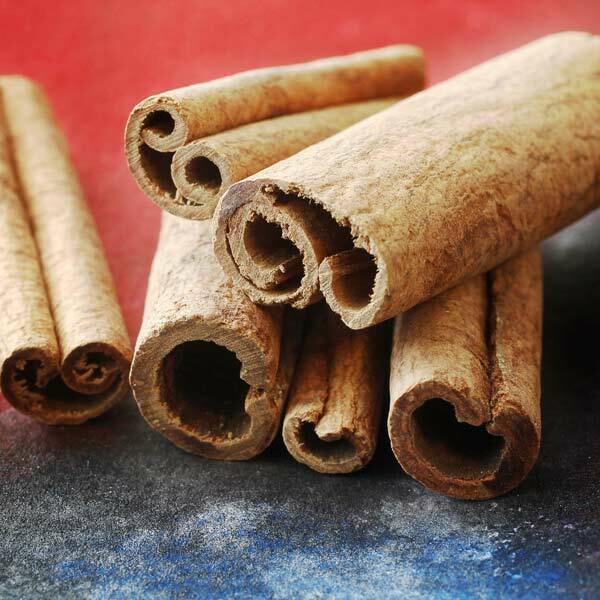 I recommend using a cinnamon stick rather than powder, since the powder tends to form clogs in the water and isn’t that pleasant to drink. Cut the apple to thin slices and remove the seeds. Try incorporating some of these fat-burning ingredients and recipes into your routine, and you’re well on your way to losing those extra pounds fast. Along with a high protein diet and adequate hydration, special ingredients like cayenne pepper, green tea, coffee, apple cider vinegar and coconut oil can increase your metabolism and start burning extra calories effortlessly. 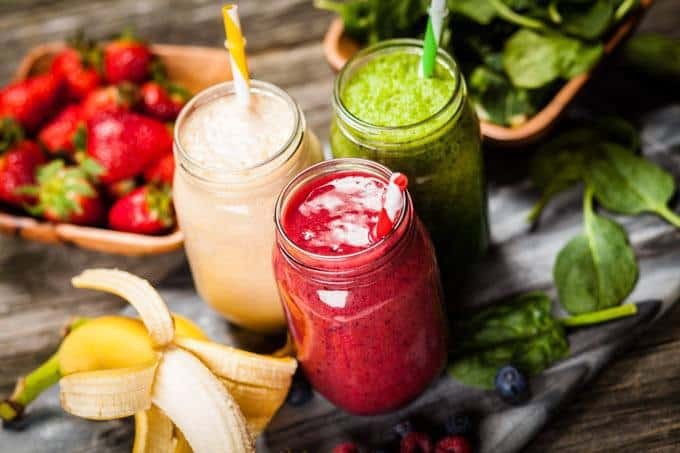 How to lose weight fast using natural homemade smoothies, easy to make, with a smart choice of ingredients and a healthy plan you’d really enjoy. Hope it helps you out, Katie! I started drinking smoothies to try to drop some stubborn extra weight so this post is right up my street! Glad we could help, Thomas! Good luck with the weight loss … that last little bit can be the hardest to shift unfortunately but hopefully some of these recipes will help. Let us know which you try out and how you get on in the long run!